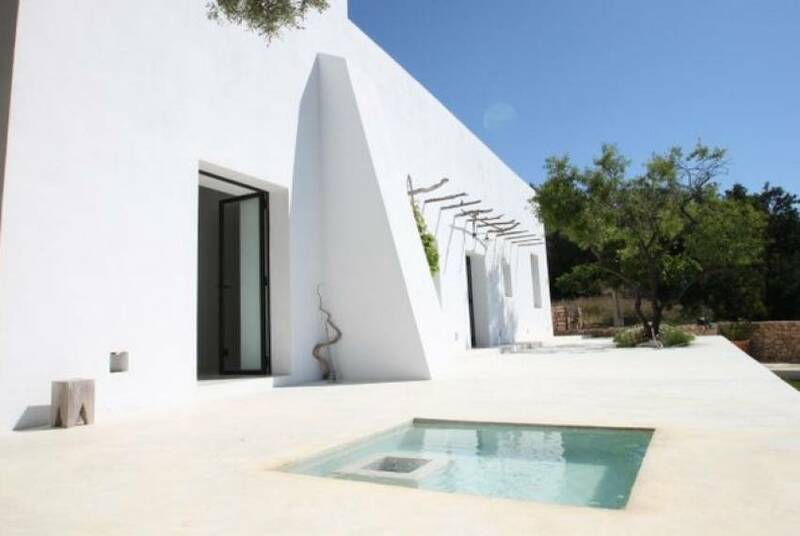 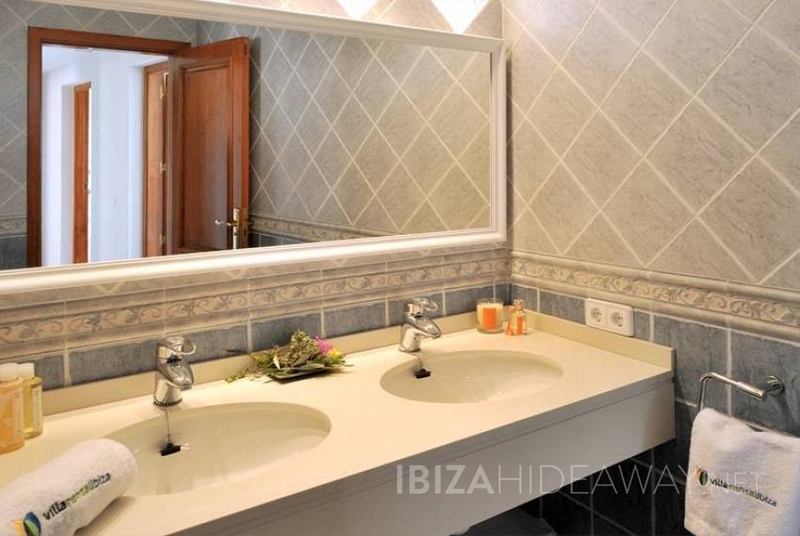 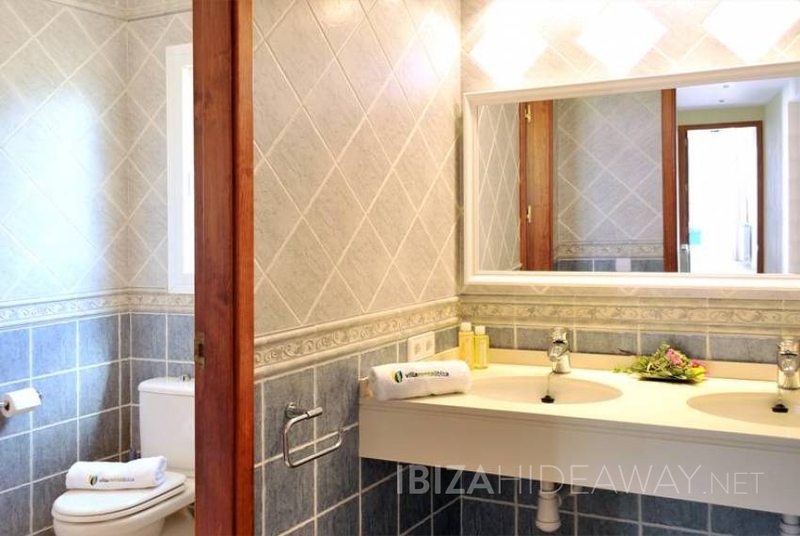 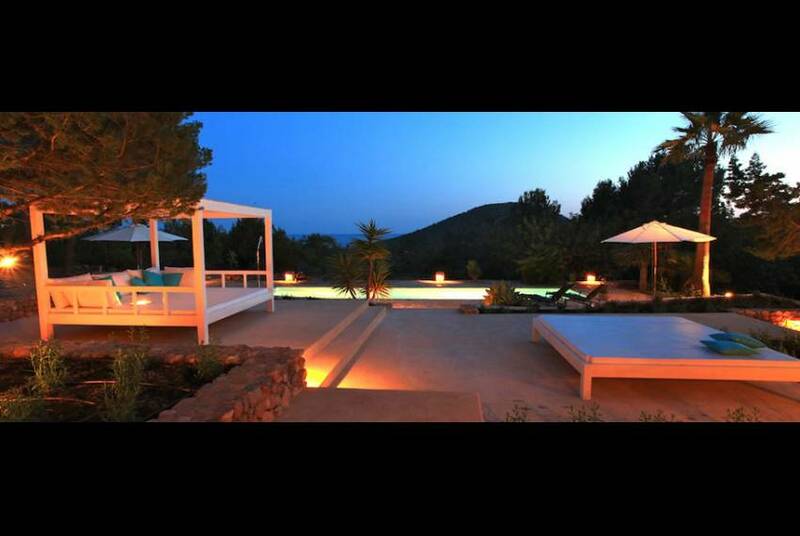 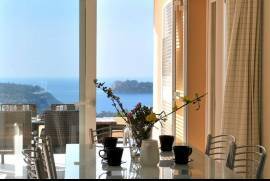 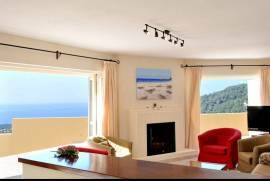 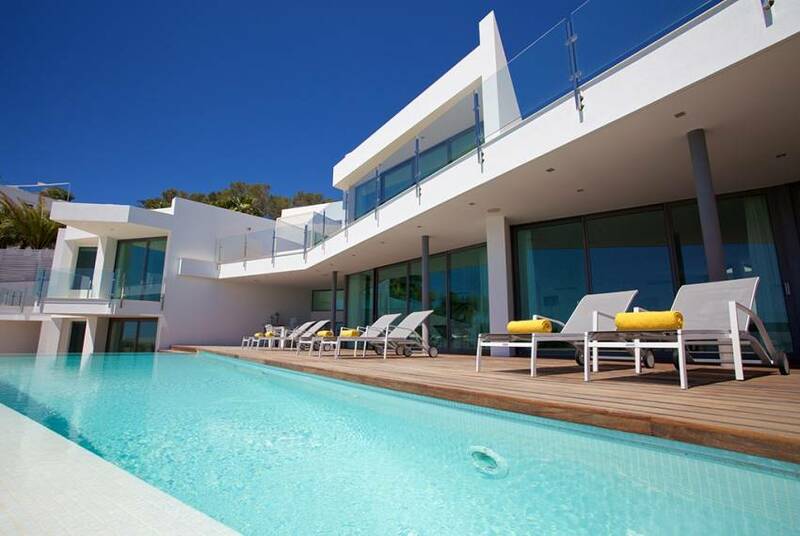 The villa is a spacious and modern villa located on a hilltop in the tranquil Cala Carbo bay. 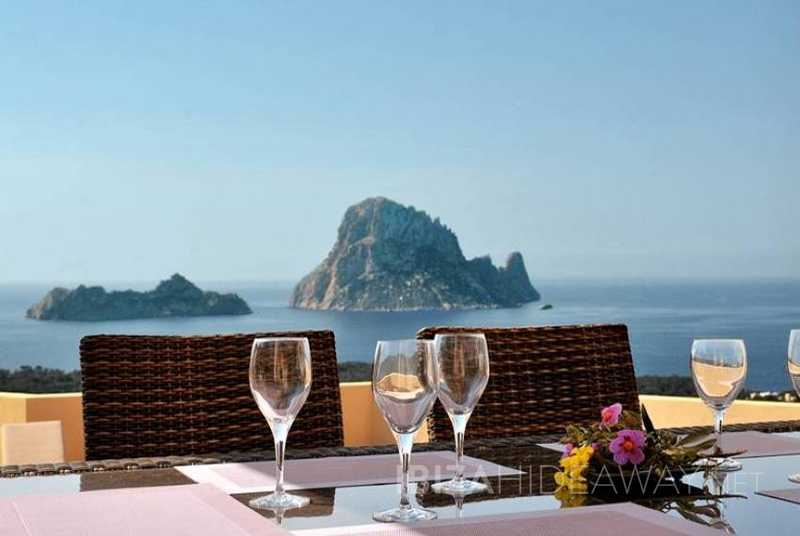 Cala Carbo is a lovely small bay with two excellent local restaurants. 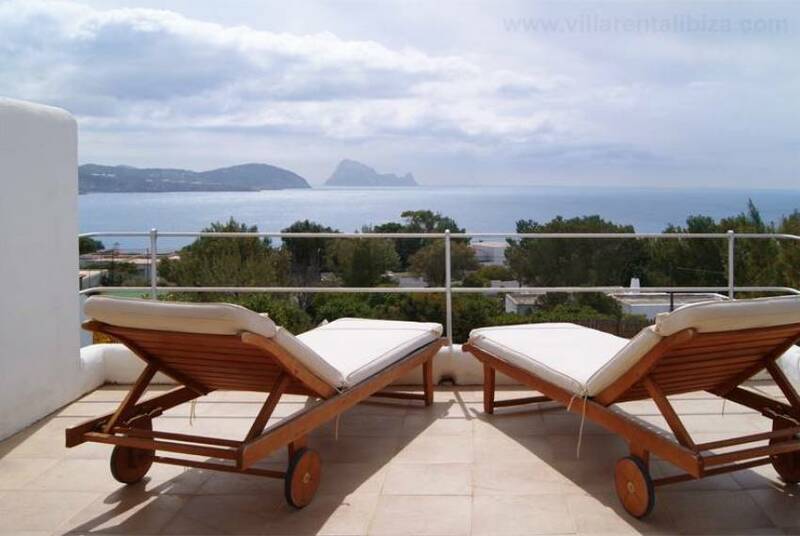 From the villa you can walk to a small supermarket, and into San Jose town it is a leisurely 5 min drive. 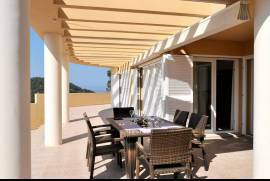 The fully gated villa distributes on 500 m2 on three levels. 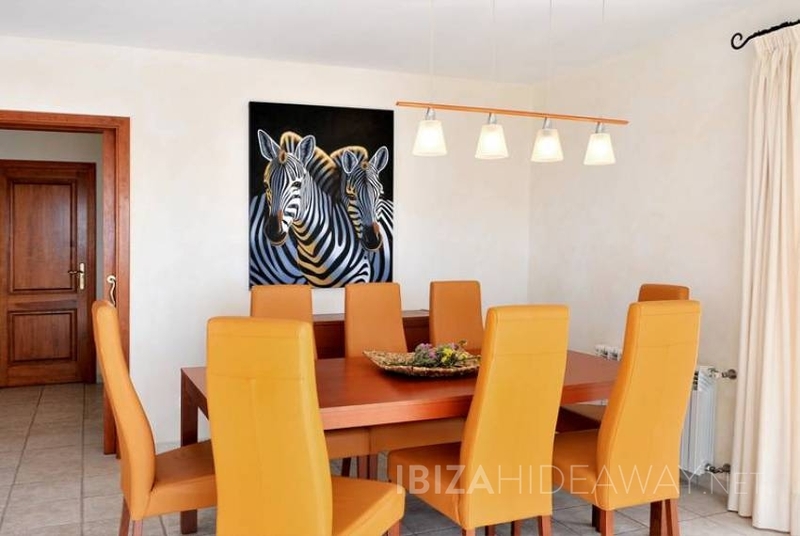 On the ground level you have the open plan living and dining area as well as the kitchen. On the first floor there are three bedrooms (two doubles, one twin) and two bathrooms, whilst the master bedroom is found on the top floor with an en suite bathroom. 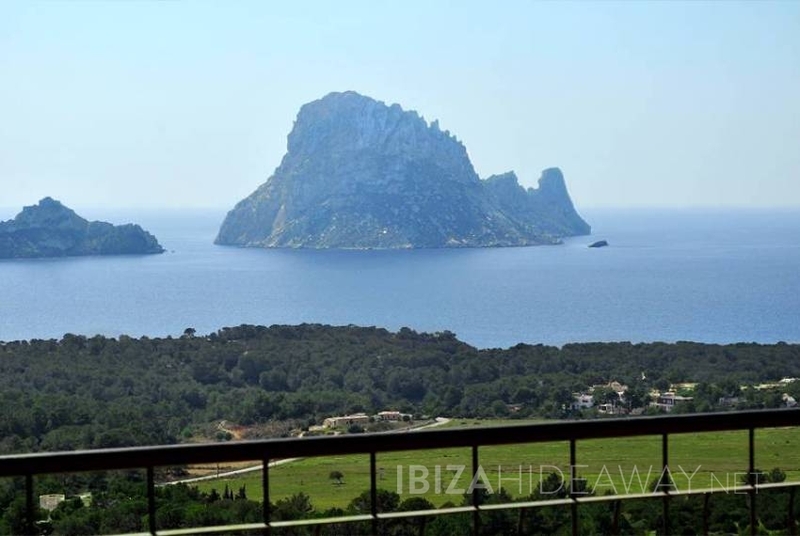 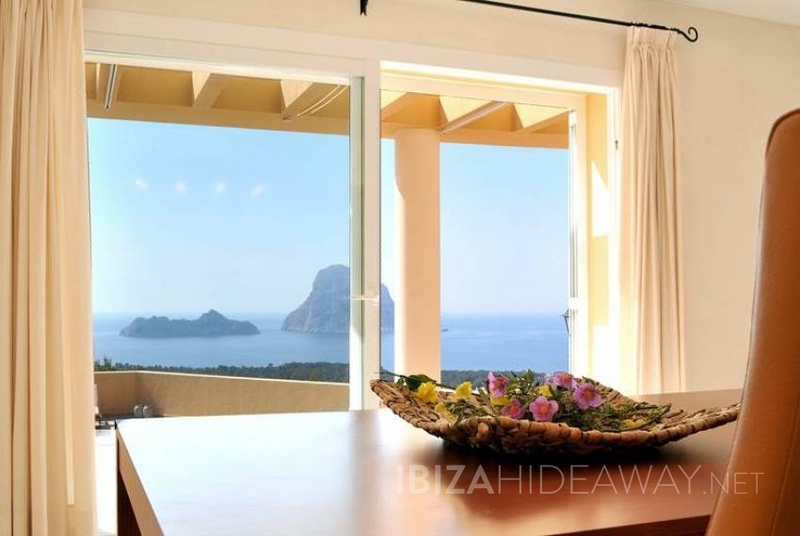 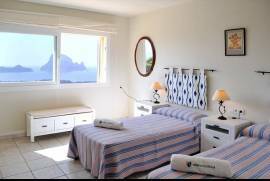 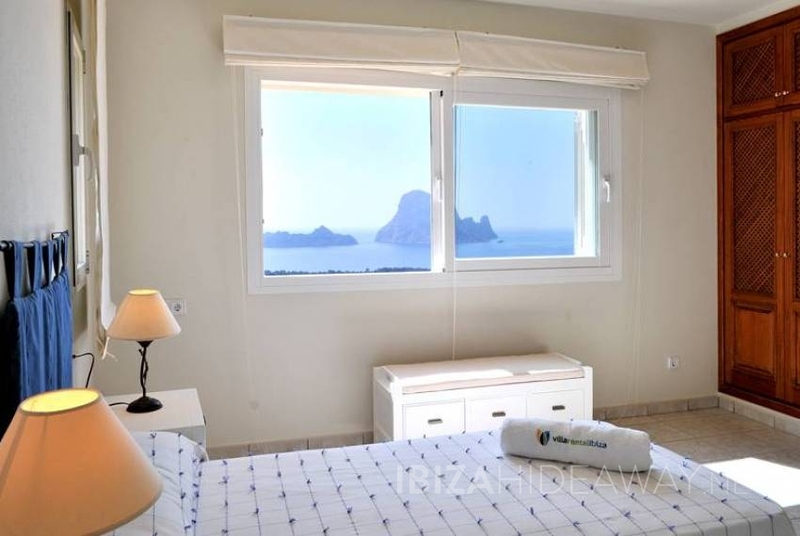 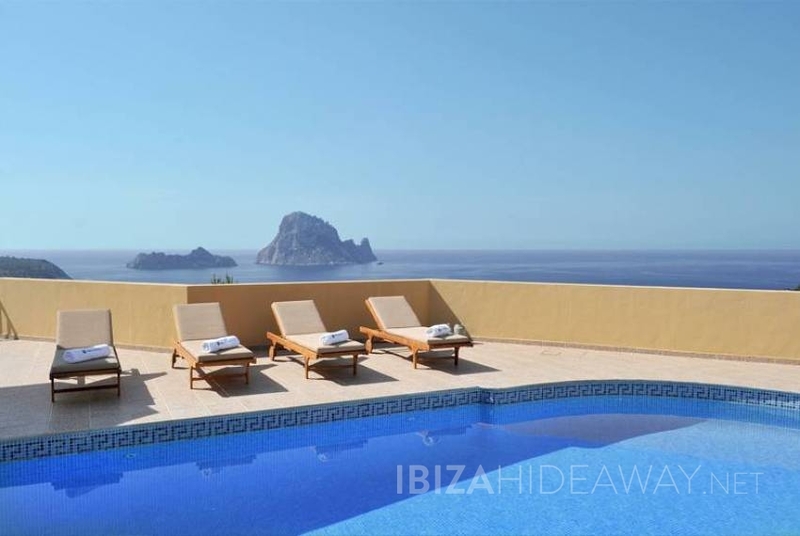 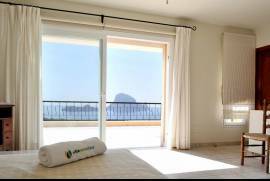 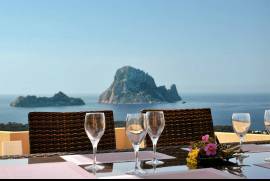 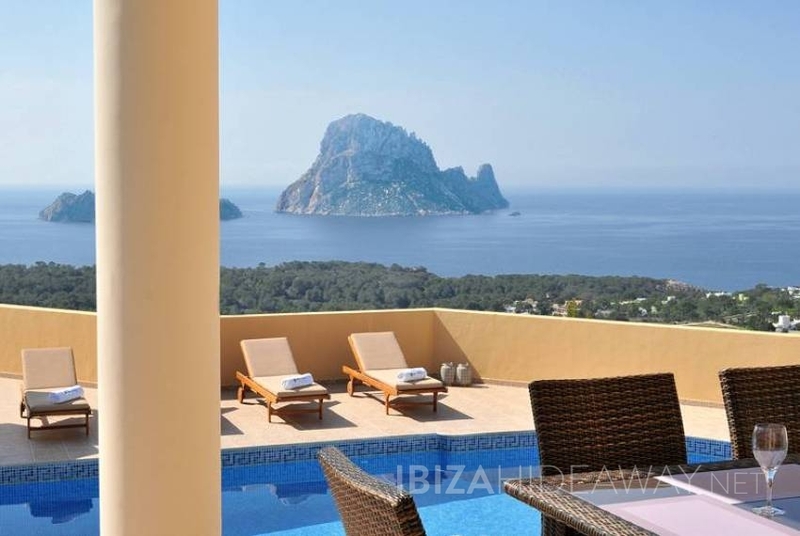 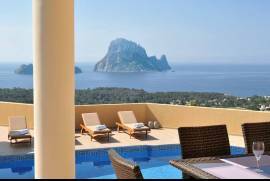 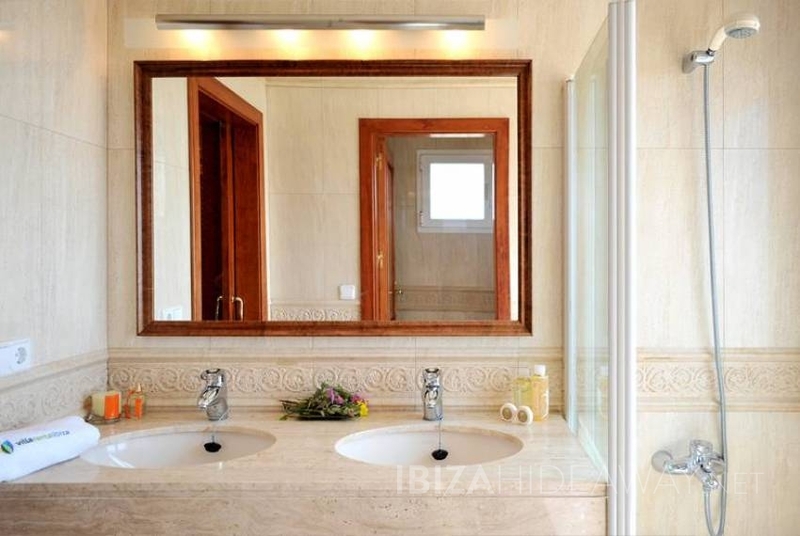 From all angles of the villa you will enjoy splendid panoramic views over the sea and the magical isle of Es Vedra. 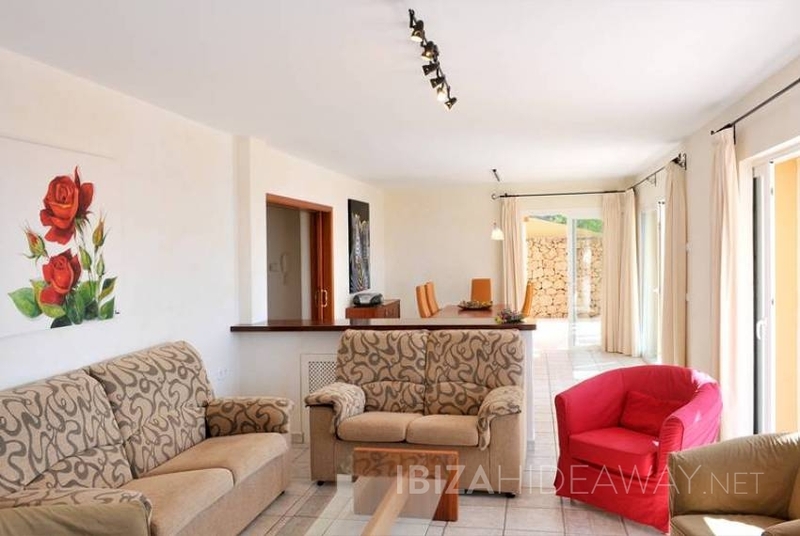 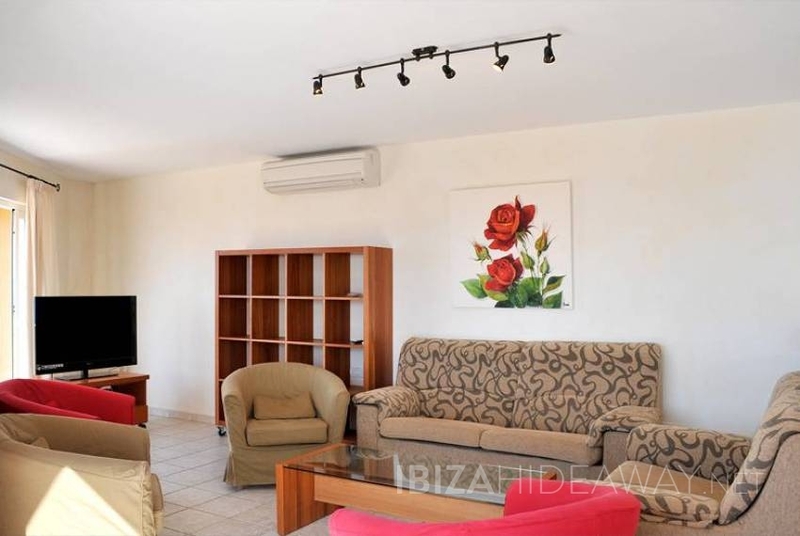 Next to the house there is an additional, attached apartment with independent access and one en suite bedroom. 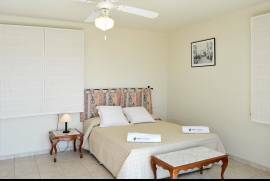 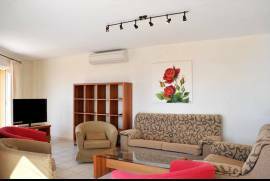 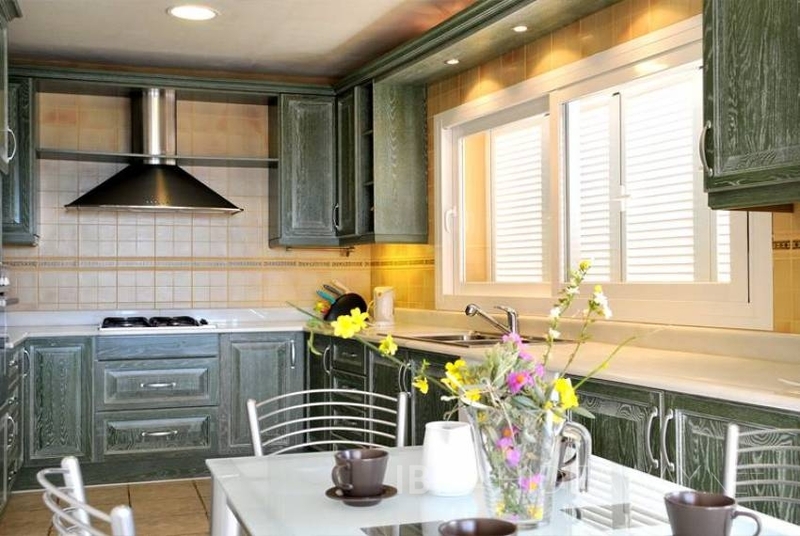 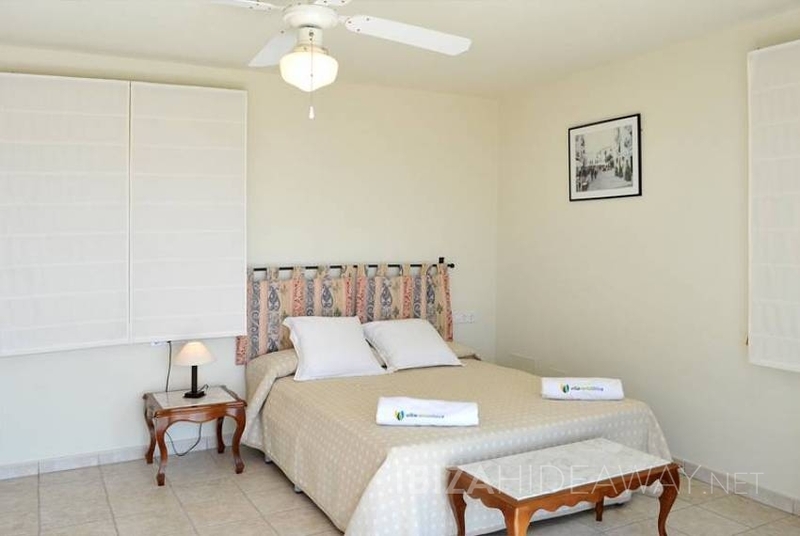 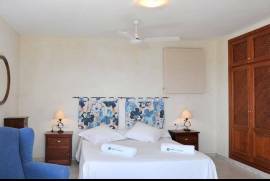 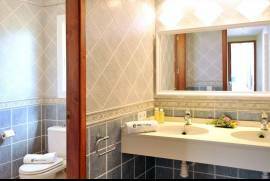 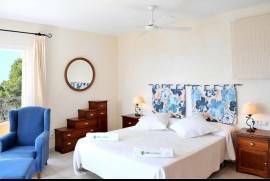 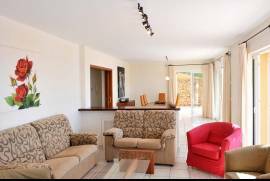 The whole villa is contemporary in style and decor and impeccably maintained. 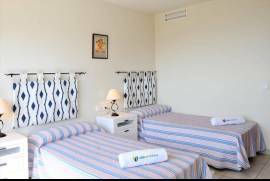 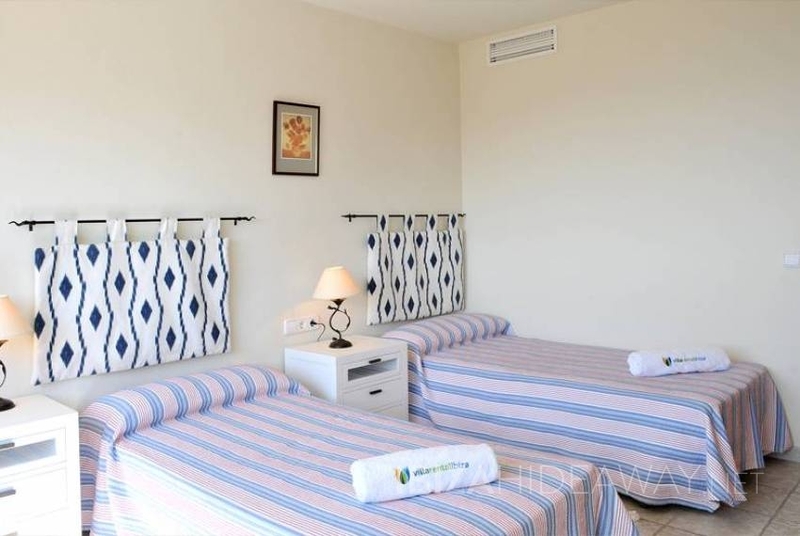 The large bedrooms all offer built-in wardrobes, which add to the comfort of this holiday home.